Healthcare Experts explore why there aren’t more latinos working in the medical industry. The Latino community continues to make strides in increasing its influence across numerous industries and fields of study, but there’s one industry where it’s still lagging behind: the medical field. According to a 2015 study from UCLA’s Center for the Study of Latino Health and Culture, the number of Latino physicians per 100,000 Latinos has dropped by 22%. In 1980, there were 135 Latino physicians per every 100,000 Latinos; by 2010 that figure fell to 105 per 100,000. David Hayes-Bautista, a UCLA professor of medicine and director of the Center for the Study of Latino Health and Culture at the Geffen School of Medicine, wrote a paper in 2000 projecting the number of Latino physicians in California would drop 6 percent by 2020. There are a number of reasons for the decline of the Latino physician numbers, according to Elena Rios, president of the National Hispanic Medical Association. One is generational. Prior to 1960, few Latino students were attending college, let alone medical school, Rios said. The Latino population in the West was high at the time and Latinos had fewer options for higher education institutions. 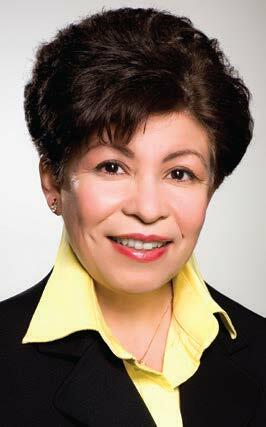 Rios herself attended UCLA medical school, which didn’t open until 1960. In the 1960s, the National Health Service Corps made a push to recruit more Latino medical students, introducing programs to give money to schools to help with their recruiting efforts. Conferences and offices were set up in locations like El Paso and Houston, Texas, as well as Los Angeles — places with big Latino families. Despite these efforts to improve recruiting, the number of Latinos in the medical field has not increased. Rios says the plateau wasn’t due to lack of effort, but instead because the recruiting net cast was not wide enough. To expand its search, the National Hispanic Medical Association advocated in Washington, D.C., for years to develop a more regional approach to recruiting. The advocacy worked, thanks to some help from congressmen like Drs. Joe Heck (Nevada) and Paul Ruiz (California) and Congressman Ruben Hinojosa (Texas), who received funding for a new medical school in his district for the first time. Hispanic-Serving Institutes were now able to receive grants designed to improve the schools — whether it be their capacity, resources or faculty — to better serve more Latino students. These grants have greatly improved schools’ efforts to recruit more Latino students into the medical fields, but being able to afford medical school is another story. Rios believes major universities need to do something to help students form middle class families so they can afford higher education. These students often can’t afford to go to school without getting a loan that often carries 20% to 30% interest. After undergrad and medical school, graduates could be looking at $300,000 in student debt. That price tag, along with how long it can take to finish college and medical school, also plays a part into why more Latino students don’t pursue the career path. Many of them don’t realize that a job as a physician could pay them close to three times the average salary in the United States. Meanwhile, their families want them to start working at age 18 so they can help support the family. There is no one to tell them that with a little patience, they could wind up with a higher income that could provide for the family more than a standard job would. The sense of responsibility Latino students feel toward their family when deciding to go to medical school often turns into a sense of responsibility toward their community when they become a doctor. That feeling also plays a part in why there aren’t as many Latino physicians. A majority of Latino med school graduates just want to help their community, so they start their own family practices. While this path is noble, it can be a financial burden for new doctors. According to Rios, many Latino private doctors treat Latino patients who don’t have insurance and prefer to pay cash. The doctors want to treat these patients because they came to them, but a cash business is hard to sustain because so much more money is needed for reimbursement for the technology and machinery needed to run a practice. Lack of academic access, the expense, family obligations are a handful of reasons why there aren’t more Latinos in the medical industry, but Lamees Galal believes those reasons all stem from the larger issue of systemic racism. 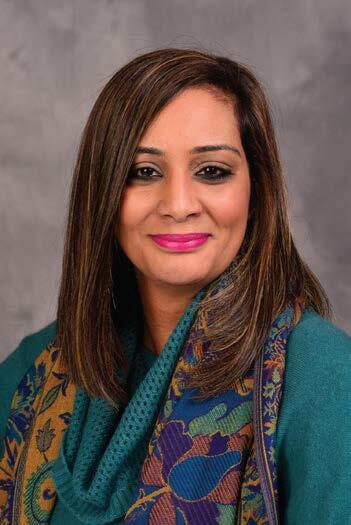 Galal is the Syracuse University Upstate Medical University coordinator for multicultural affairs and the assistant director for Collegiate Science Technology Entry Program (CSTEP), which supports students who are underrepresented and socially or economically disadvantaged. She’s also a part-time student at Syracuse University, in the Cultural Foundations of Education Ph.D. program, with a focus on inequality and racism in higher education. CSTEP has several programs to help make sure the Latino community is well represented in medicine in the future. The Try On a White Coat program is a weeklong experience for college freshman and sophomores to check out the Syracuse campus and get exposure to different healthcare careers. The school also has a Medical Education for Diverse Students (MEDS) program, where Syracuse medical students work with the local high school students to get them interested in health care prior to college.